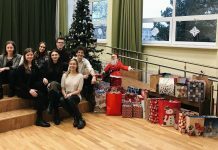 Lilia teamed up with two more FLEX alumni and three Peace Corps volunteers to organize the camp and secured support from a local business, namely the Basen Hotel in Sisian. 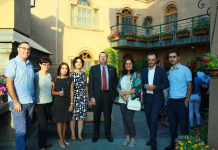 The choice of the venue was not accidental as the Basen Hotel is run by FLEX alumna Hasmik Asatrian-Azoyan ’96 who was one of the first students in the entire region to be selected for the program and who has stayed actively involved with FLEX Alumni community since returning from the U.S. Another partner was the Salvard Rural Development Foundation which provided materials and other assistance for the camp. 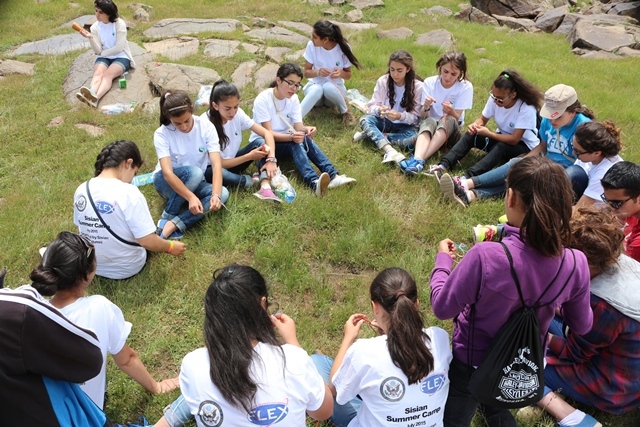 Participants of the camp learned about U.S. culture and listened to alumni’s experiences in America and the successes and challenges they faced along the way. Participants took part in leadership classes, discovered the unique history of Syunik region and went hiking. The organizers also conducted a clean up where participants were joined by local residents. 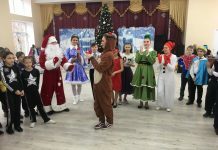 Local media reported on the event and inspired other Sisian community members to participate in similar initiatives in the future. 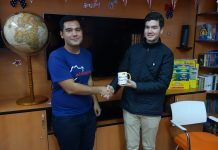 On the last day of the camp, organizers held a celebration of the 20th anniversary of the FLEX program in the Syunik region, followed by a closing ceremony with recognition certificates. 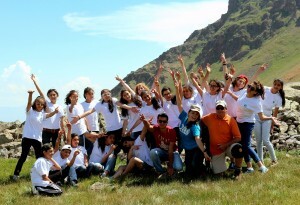 According to the organizers, one of the project’s main successes was being able to involve Sisian youth and students from nearby villages. ‘As soon as we learned that there was a lot of interest among young people in neighboring villages, we decided to do our best to enroll them into the camp,’ says Lilia. Eleven of the 21 participants came from small villages, most of them having never heard of the FLEX program before. As the result, participants from Darbas village joined a regional TedX Youth program and will continue developing their leadershipskills, while participants from Angeghakot village will present their impressions of the camp to their peers in the village. Organizers hope to make this an annual event and use it to develop youth in the region and as a recruitment tool for the FLEX program.